Plantago Major - Premium Quality. Plantain leaf, Plantago major, has a history of healing from ancient times. According to the website Flora Health, ancient Greeks and Romans used plantain medicinally. The German Commission E Monographs lists plantain leaf as a treatment for a range of inflammatory disorders. Use plantain leaves topically in ointment form; consume plantain as tea or serve young plantain leaves in salads. Always consult a physician if you have any illness before treating with alternative remedies.Plantain leaf, Plantago major, has a history of healing from ancient times. According to the website Flora Health, ancient Greeks and Romans used plantain medicinally. The German Commission E Monographs lists plantain leaf as a treatment for a range of inflammatory disorders. Use plantain leaves topically in ointment form; consume plantain as tea or serve young plantain leaves in salads. Always consult a physician if you have any illness before treating with alternative remedies. Plantain leaf, Plantago major, has a history of healing from ancient times. According to the website Flora Health, ancient Greeks and Romans used plantain medicinally. The German Commission E Monographs lists plantain leaf as a treatment for a range of inflammatory disorders. Use plantain leaves topically in ointment form; consume plantain as tea or serve young plantain leaves in salads. Always consult a physician if you have any illness before treating with alternative remedies. Nature is filled with plants that can help provide us with numerous benefits. From helping prevent serious issues to actually treating a number of different problems, using all natural and herbal remedies is a centuries old tradition that is still used today in both developing and developed countries. Some of these herbal remedies have only one or two benefits while others can provide a huge range of different benefits to its users. Brewing and drinking plantain tea is one of the best ways to embrace all natural healing since it can help you with a huge variety of issues. Because of this, it's widely thought of as a kind of herbal cure all. While it may be considered a weed across much of the world, many countries recognize the numerous benefits of the common plantain plant and utilize it regularly. 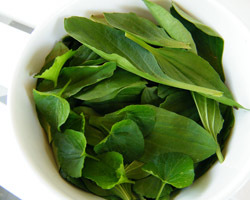 The leaves are actually used to make salads or cooked down like greens, but it is the combination of the leaves, roots, and seeds that are commonly used to create plantain tea. And herbalists through the ages have recognized the many different healing qualities of this tea. It has anti-toxic, anti-inflammatory, and anti-microbial properties as well as having astringent properties to go along with all of that. A number of studies have found that diabetics who drink plantain tea often have an easier time managing their blood sugar levels, and it can also reduce the body's desire for sugar. Bladder problems are also commonly treated with this herbal tea since it has been shown to help tremendously in that area. There is also some evidence to suggest that it can lower blood pressure and can even be used to help combat hemorrhoids. It may also help to improve the body's ability to heal, speeding up the healing of wounds and reducing scars and swelling in topical applications. 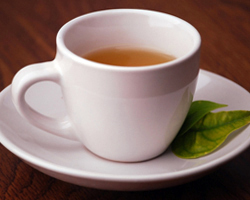 Stomach problems are often combated with plantain tea as well. Both diarrhea and dysentery have been relieved through the use of this tea. Even respiratory issues can be combated with them, and problems like coughs, bronchitis, sinusitis, and asthma can be combated with the use of this excellent herbal remedy. Simply put, there are plenty of different uses for plantain brews and if you're beginning to embrace natural healing and herbal remedies you owe it to yourself to stock some of this herbal tea in your cupboard at all times. It has so many uses that you'll be sure to go through it quickly.